These little brothers are the bestest of buds. They are my two youngest, and at their current ages of almost 6 and 8 they remain the closest of friends. 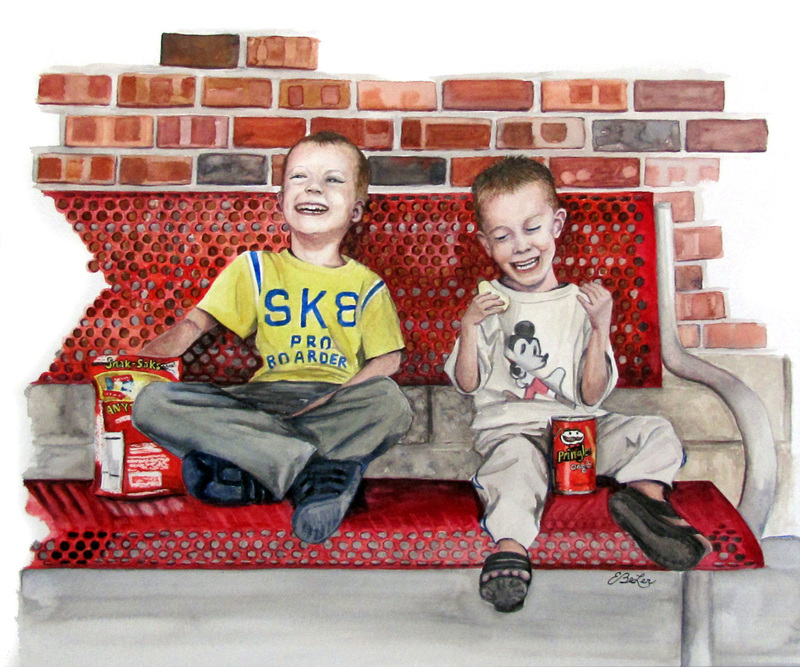 This watercolor painting was created from a reference photo that taken when the boys were about 5 and 3 while sitting outside a Target store enjoying a snack. Nothing exciting; just another day out running errands with mom. These are the moments I attempt to hold tight to. I don’t do a lot of portrait drawings or paintings, having shifted my focus primarily to architecture, but when I do, I want them to capture something outside of what you might typically photograph and put on your wall. Traditional portraits have their place and I know some fantastic photographers who I’d happily recommend if that’s something you’re looking for. However, when having an artwork commissioned of someone you love, why not capture those every day moments that make up your real life: a child playing on a swing, or sneaking up on treats in the kitchen, or a father and daughter sharing a thoughtful moment together? These are the days of real life; hold on to the moments of how we really live life together. What were these boys laughing about? I didn’t know then, and I certainly don’t know now. That’s ok, because what I will always remember is the inexplicable joy and hilarity they shared together. 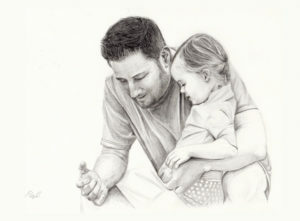 Sign up to receive emails about new artworks delivered directly to your inbox at www.estherbeler.com, or shop for prints and originals (including private commissions) at www.etsy.com/shop/EBeLerFineArt.